If you are a Nexus 10 user and you want to Unlock your Bootloader or again want to Relock the Bootloader then this is the guide you definitely looking for. Make use of it and enjoy! First of all to unlock your device you need Fastboot and Android SDK. 1. Initially, you need to download the fastboot zip file from below. If you are a Windows user then download from here. If you are a Mac user then download from here. 2. Then you need to power off the Nexus 10 and reboot it into the fastboot mode by holding the Volume Up Button, Volume Down Button and Power Button. 3. After that plug your tablet into a full speed primary USB port on your computer. If you are using Windows, you will see the pop-up about drivers being installed and initialized. 4. Now open the terminal or command prompt on your computer, and go to the folder you have placed the fastboot program in. 5. At the command line, type in (without any quotes) “fastboot devices”. 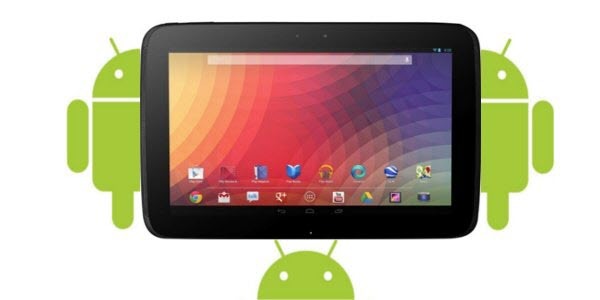 You should get a device ID returned, which lets you know that fastboot can see your Nexus 10. (To get the ID of the device is very important or else you cannot go further). 6. After you have got the ID just type(without quotes) “fastboot oem unlock” in your command window. 7. Look to your tablet, where you’ll have to verify the process. Remember that there’s no way to undo the data loss that will happen the instant you say “Yes”. 8. Finally reboot your tablet. That’s it You’ve done. Now, you are free to install custom software, modified boot images, custom recovery. 1. All the steps are same. 2. On the 6th step just change the code from “fastboot oem unlock” to “fastboot oem lock” and also flash back to Stock images (if changed) or else it won’t boot. 3. This will relock your bootloader so that only authentic, signed images from Google can be flashed to the phone.